Designed and built by Jiro Shimatani, the Dat Midget is the smaller cousin of the more widely known Midgetee (often referred to as a Fuji car) which Shimatani also designed and built. Like the Midgetee, the Dat Midget features a cast aluminum body and direct drive. The car is powered by a Fuji .099 engine with direct drive. Only three Dat Midgets were originally produced. 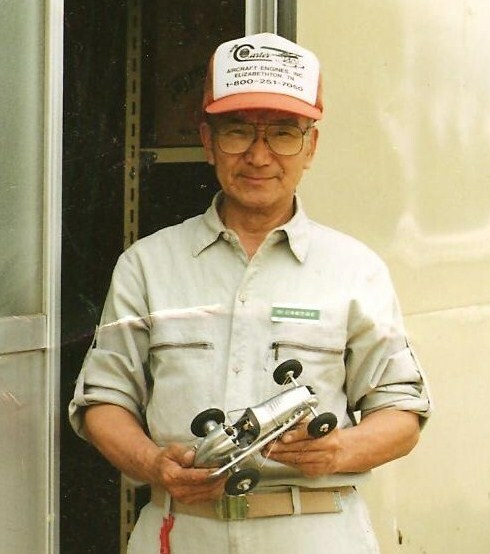 Prior to the Dat Midget and Midgetee, Shimatani designed and built a very small number of cast aluminum, front drive cars called the New Star. Typically powered by a Japanese Hope .19 or .29 engine with direct drive, the bottom photo shows an example of a New Star powered by an early OS .60 engine along side a Hope .29 powered version. Like the Dat Midget and Midgetee, the New Star was not exported to the United States, and the small number of these cars in this country today were brought back to the US by troops stationed in the Pacific after World War II and during the Korean War. 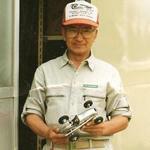 Shimatani also designed and produced kits to build an even smaller wood bodied car called the Dat Prince. Several versions of this inexpensive little car were produced, all powered by Fuji .099 engines and sold in semi-finished form. A number of these cars were purchased by US servicemen at their base PX and Japanese hobby shops.